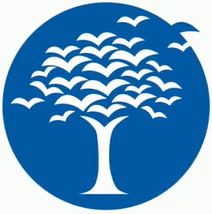 The N. H. Goel emblem depicts ‘The Tree & The Birds In Flight’. It is a symbol of the school’s deep commitment towards providing holistic education where students can discover their true potential, find their wings and take flight. Using the latest in technology and pedagogy, we impart value and heritage with profound pragmatism and humility. Despite the global outlook that the school promotes, it is deeply rooted in our rich culture. This is what helps us create true global citizens with a strong identity. The words ‘Kindle, Nurture & Grow’ encompass the entire school philosophy. A deep desire to explore & expand their horizons will be kindled and nurtured in the young minds. And this will help them attain deep understanding and sensitivity, thus equipping them to excel through good learning and sound education.